Little Bluebell: Scraps: How small is too small? Making Steam Punk blocks is a messy business. My scraps have scraps at this point. There is a scrap heap collecting on my work table. I'm finishing up the last of my blocks and trying to clean up. It's such a mess. I tried sorting out the usable bits. The large pieces were the easiest. Now I have a lot of leftover weird little curvy pieces. I tried throwing them out and I'm resisting because the fabric is so pretty. For some of the pieces, its the very last piece of that print. Do I smile and say, "Yay! I used up every last bit of that. Let's go fabric shopping!!" Even my daughter was looking through the scrap pile pulling out treasures. She'd hold up each one for me to see, "This one is so pretty Mama!" I set her up at the kitchen table with markers, glue, paper and fabric scraps and showed her how she can make little people with them. She made one and claimed that it wasn't that fun. LOL!! Oh well, can't win them all kid. I love what she made and put it up on my bulletin board. I had to resist the urge to stop doing dishes and make a few myself. 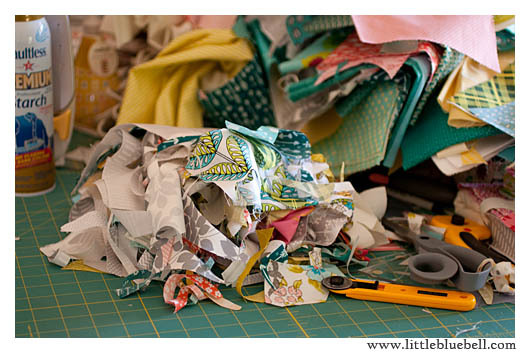 So I'm wondering, 1) how small is too small for scraps you save and 2) what do you do with the littlest pieces? I really can't deal with anything smaller than a 2.5 inch square. I've given up feeling guilty about tossing them! I started keeping everything for my daughter to play with. It's sort of ridiculous, though. The drawer will be full soon... 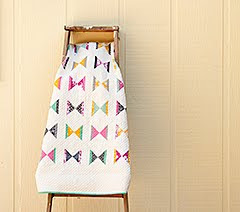 I just can't stand to throw pretty or possibly useful fabric away...!! Anything less than a 2" square goes in the crumb bin....I cut everything else into 2", 2 1/2", 4" , 5" and 2 1/2" strips! Funny you posted this this morning. I was trying to clean up the closet that has all my craft supplies in it and I was stuffing small scraps in my bag of scraps and I heard Ruth's voice talking about not bringing trash to the fabric swap and I wondered if my scraps were so small that they were trash or if I or someone will every make something worthwhile out of them. It's hard to know what to do with them. I have a sewing journal that I write down every thing fabric and sewing related into. I glue the super tiny pieces in, then write about how much I liked them, what I used it for, how much I had, where I got it, how much it cost. things like that. I love to look back through it and see all my old projects I possibly forgot about, or gave away, and see my favorite fabrics. but obviously that doesn't use up everything. I have two other things I do with them. I have a bag I put some into to give away to my little cousin that sews. She's 11, and isn't able to buy her own fabric, and she gets so happy when she goes through the bag. I also save the really tiny pieces I can't make anything with for stuffing so I dont have to buy it. It can be lumpy, but sometimes that doesn't matter. Also, cotton fabric can be composted. Thats another option besides just throwing it out. Also, you could swap it. I actually only buy scrap bags unless I see a really good price or need something specific, because personally I like to get more variety for my money, and I live in a small apartment, so I dont have alot of room for large pieces unless I just really really love it. but after sorting through my gigantic stash last year, I through out a lot. 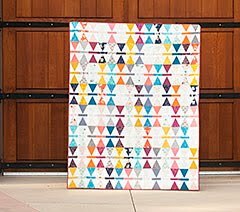 I've got a reputation in my quilt group for not throwing anything away, and I've made some of my favorite quilts from bits I literally pulled from the trash after one of our sew days! 1.5" wide for strips or 2.5" minimum dimension for stuff that I'm not that attached to. I've working on the Tula Pink City Sampler blocks and those pieces are TINY! 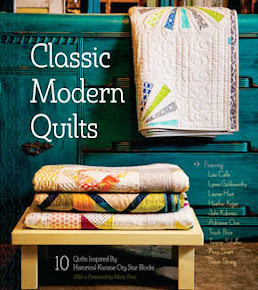 1.5 inch squares! Save everything!!! After my bins started overflowing and little fabric bits were starting to haunt me, I throw it away if it's less than an inch. Strips I keep to go with my selvedge collection. Oh wait, then I started collecting itty bitty baby triangles. I shouldn't be asked this question. ;) Your daughters picture is so cute! I find it hard to part with the smallest of scraps but have found over the years that if I keep them I often end up having to throw them away regardless. Recently we found out that a neighbour of ours loves for us to keep them as her sister is a kindergarten teacher and can use the smallest of scraps for craft with the children. It takes away the guilt of throwing things out. We now put the scraps into plastic bags and when we have accumulated a decent amount we pass them on. I used to keep everything. 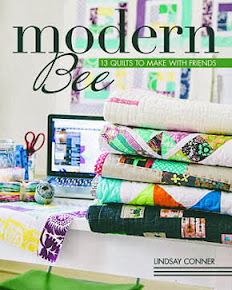 I took a class once from Carol Henry where we paper-pieced hexies the size of the end of my little finger. That meant there were no scraps too small to keep. But I gave up that project long ago and now cut all my stuff up into squares going as small as 1.5". I have several leader/ender projects I'd like to do that go that small. What I keep is based entirely on my mood at the time! I'll keep smaller stuff/weird cuts for paper-piecing, but I find there are days where I just don't feel like sorting and it all ends up in the trash. I have way more fabric than I'll ever be able to use, so I try not to feel too guilty about it. I sure wish there was a way to recycle all those tiny pieces though. I keep squarish pieces from about 1.5" and up and strips if the same. Other scraps get cut into small pieces and I've got a large bag of this... There is a member of the guild I belong to that uses the scraps for stuffing pet beds which she donates to her local shelter. I've been keeping 1.5" squares. Now that I've sewn a very small project with 1.5" HST, I'm giving up keeping them! I am finally coming to a point where 2.5" is the smallest I will go. But I keep all the scraps and am saving them (including crumbs and thread pieces) to use as filling for a floor puff/beanbag thingy. I have about 4/5 for a kitchen trash bag full. I need to buy fabric for the actual seat and make it so I can see how much more "stuffing" I need to accumulate. I hate wasting anything. If you can pick it up then it isn't too small. 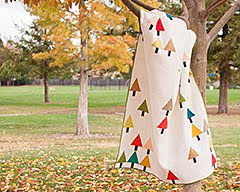 You can sew them into new pieces of fabric by using soluweb and stitching small pieces together. If you don't want to do this then your local children's centre would probably appreciate scraps. I keep three bins under my table when I am cutting - one for threads, one for pieces that I can use and one for my children's kindergarten. If I can get a 1.5" square out of a scrap then I keep it but if I'm not very fond of the fabric I'm more likely to break that rule and put a slightly larger piece in the rag bag - it's never larger than 2", though! "There is a member of the guild I belong to that uses the scraps for stuffing pet beds which she donates to her local shelter." Same here. I keep an old pillowcase in my sewing room for the trimmings when squaring blocks and any other fabric/thread scraps i do not wish to keep, and when the case is almost full I transfer to plastic bags and take to a guild meeting. I have trouble parting with scraps too... it's getting crazy. 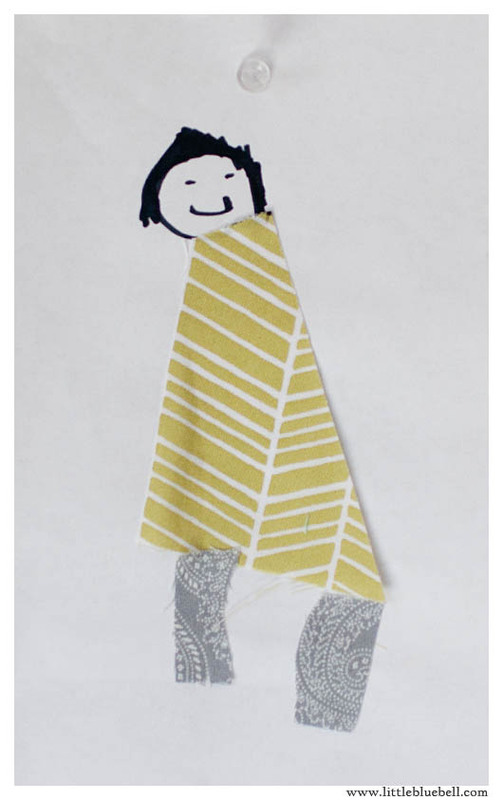 I like the idea of offering them to teachers of young kids for art projects. I use every scrap! 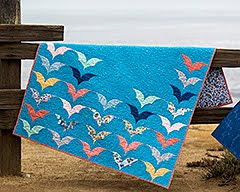 Even small ones can be used in mini quilts or quilt backs.